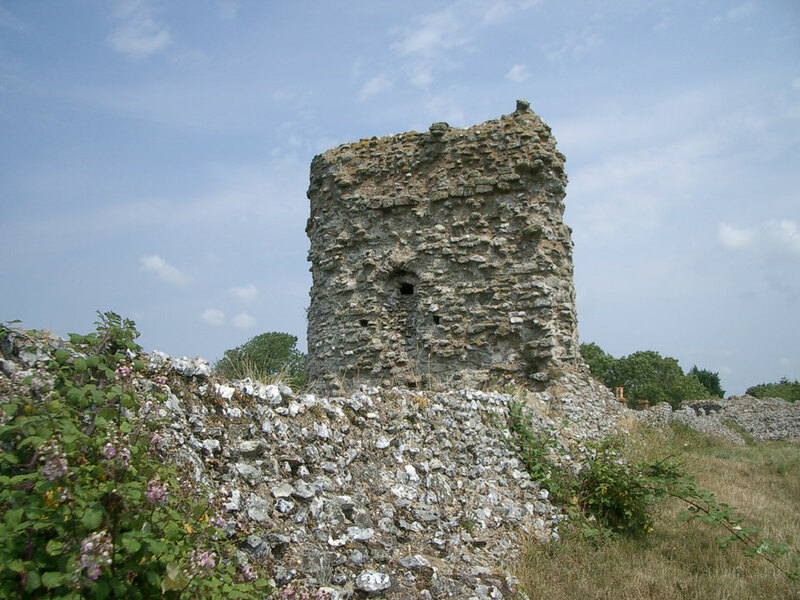 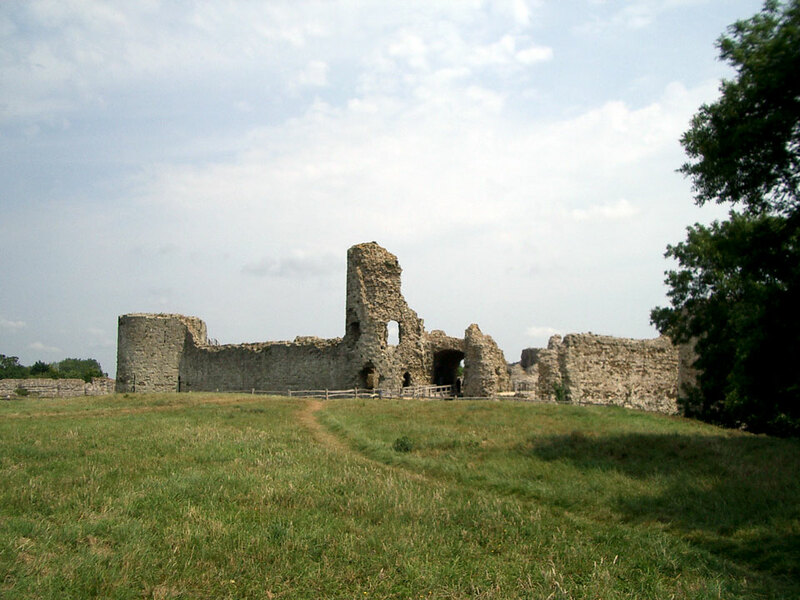 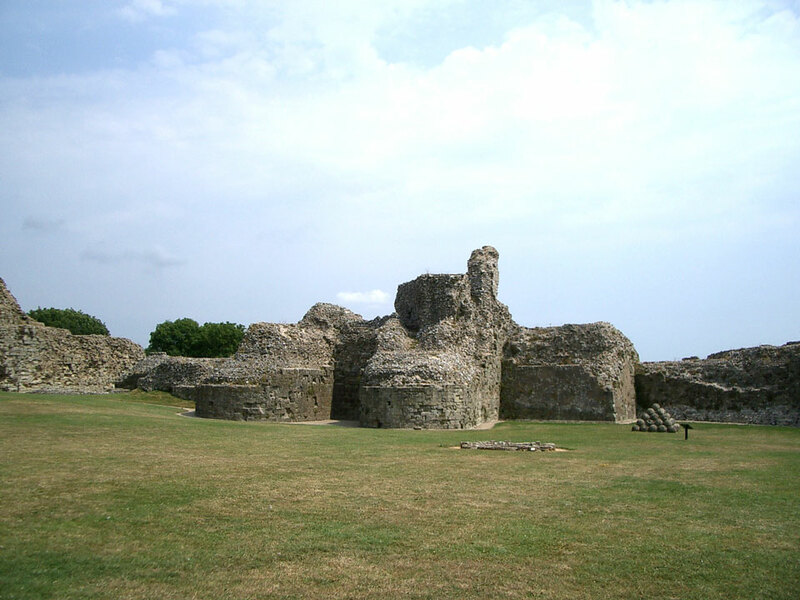 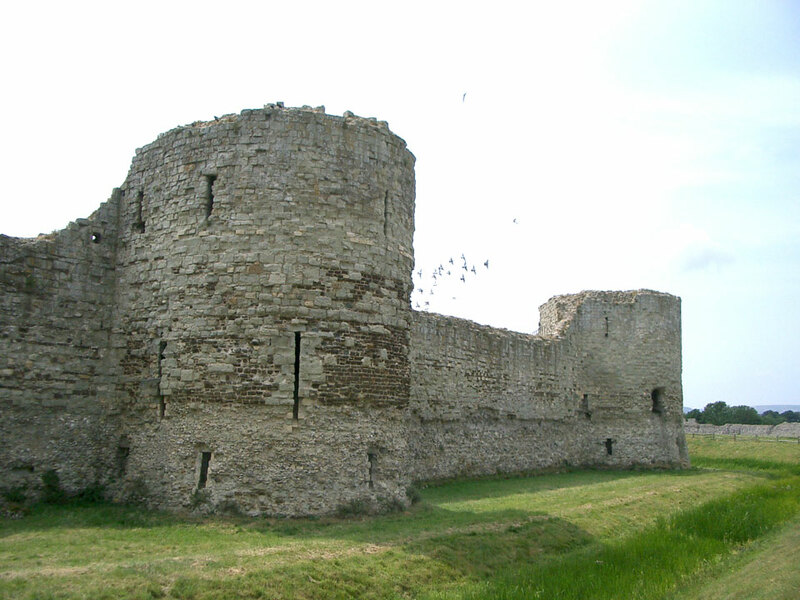 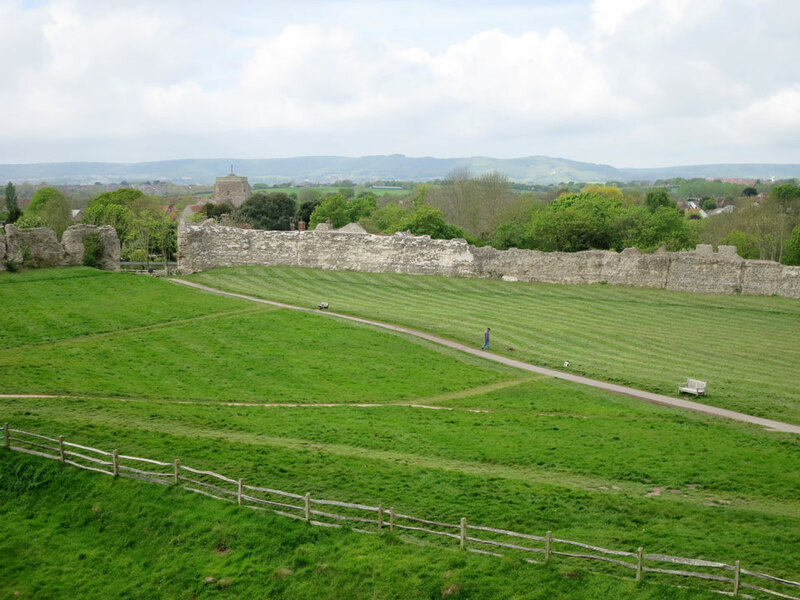 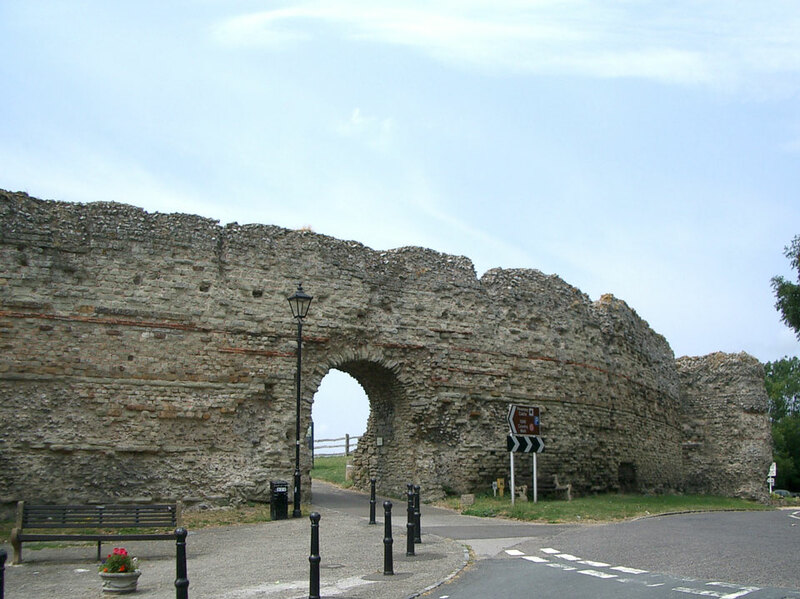 The large 4th century (c. 340) Roman Saxon Shore fort of Anderida was strengthened with a Norman motte & bailey castle as soon as the Noman invasion started in 1066. 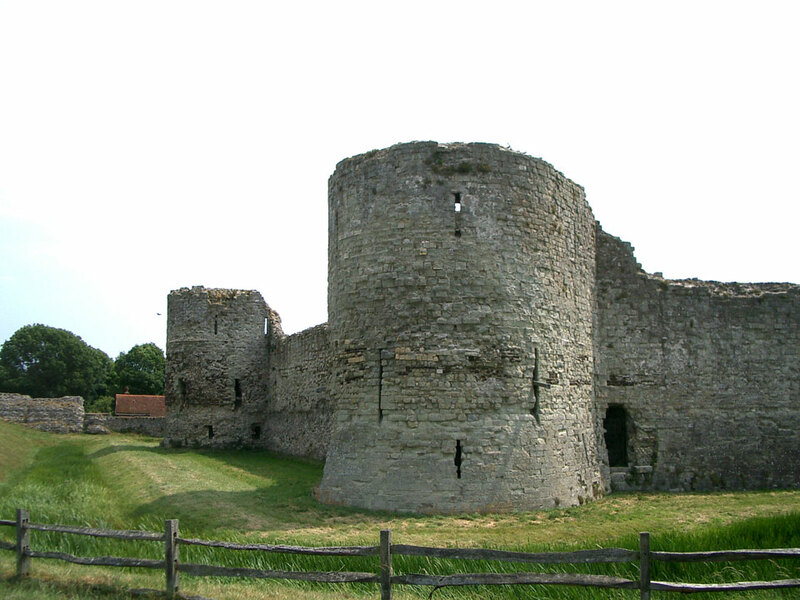 The keep was rebuilt in stone in the late 12th century, and the towers and gatehouse in the mid 13th century. 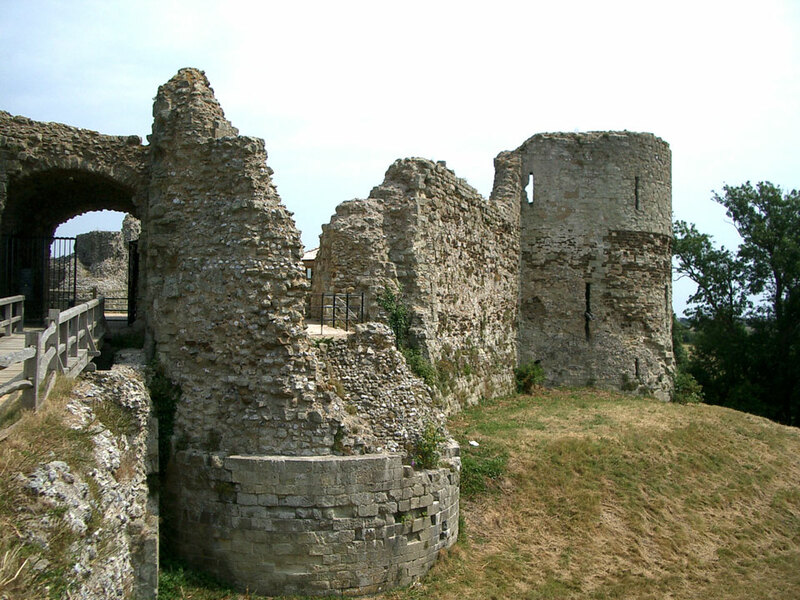 The castle started to decay into ruin in the 18th century, although it was used in the second world war, but the original Roman walls are still in very good condition. 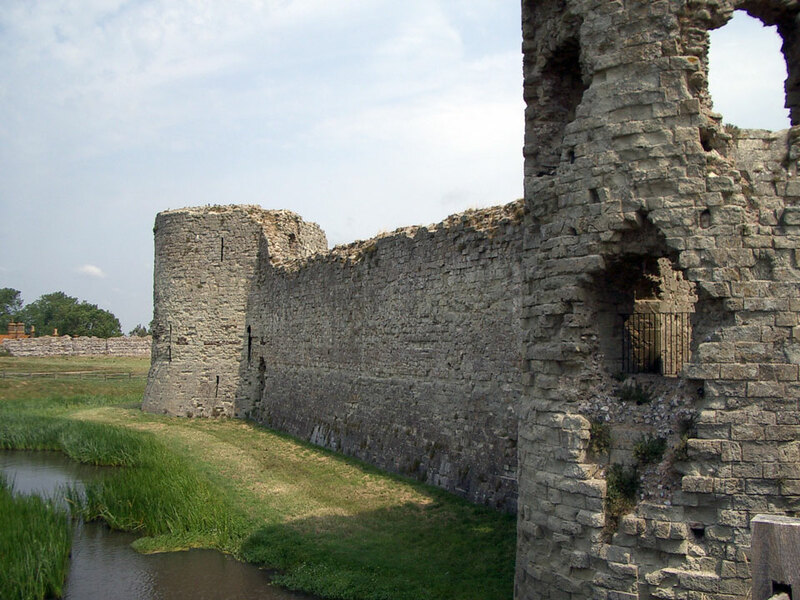 The retreat of the sea which originally came right up to the castle walls has left it a mile inland.